Why go to Sweden? Well, for most people, the principal attractions are the archipelagos of the East or West coasts. There are over 24,000 islands in the Stockholm area alone, but other parts of the country have their own charm. For our money, the most spectacular part of the country is the Eastern coast. 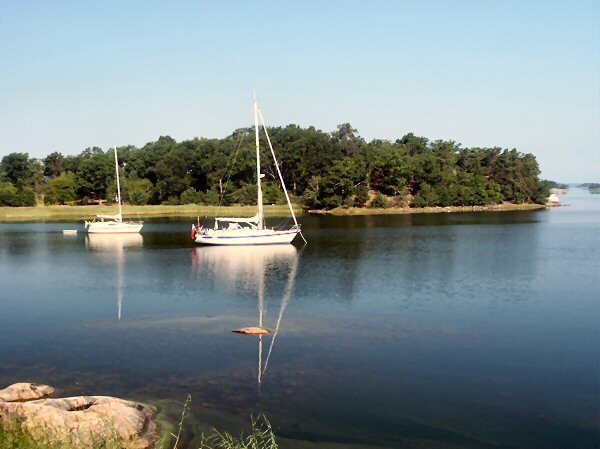 There is a small 'taster' archipelago around Karlskrona, but the skerries start in earnest north of Kalmar, and continue in an almost unbroken line for over 300 miles. In the archipelago, the cruising mood changes. 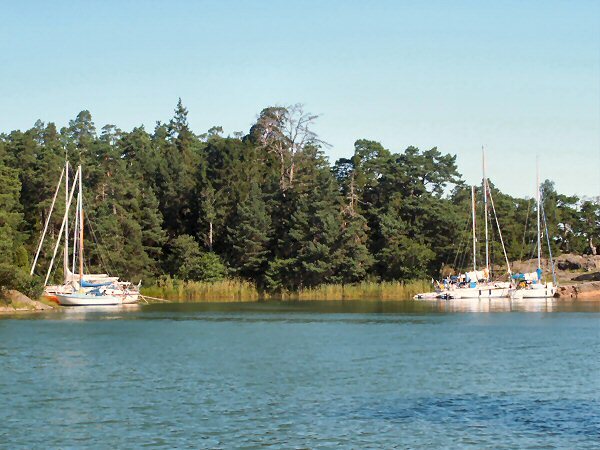 Instead of overnight havens, marinas become daytime 'filling stations', and empty out at night as people hole up in the 'nature harbours' - sheltered rock pools - out in the islands. Despite the whole of Scandinavia going on holiday in July, and 1 in 5 Swedes owning a boat, the place never feels 'full'. The main routes through the islands are well marked, although navigation is still relatively challenging compared to the UK or Denmark. Outside the main routes, you need your wits about you and careful attention to the chart. Many people prefer the Western coast. The skerries here tend to be more barren and the weather less predictable, but the area is just as beautiful. The skerries peter out just south of Gothenburg and the South Western and Southern coasts are less interesting, although there are still some fine beaches and interesting towns. A favorite route is to traverse the 'golden circle' as we did, traveling anticlockwise across southern Sweden and up the eastern coast, and then back across Sweden using the Gota Canal. Travelling this way maximizes the effect of the special light on the islands which is simply magical. It's possible to do this route in 6 weeks, but to do so would miss soaking up the atmosphere and culture, which we think is essential to appreciate Sweden properly. 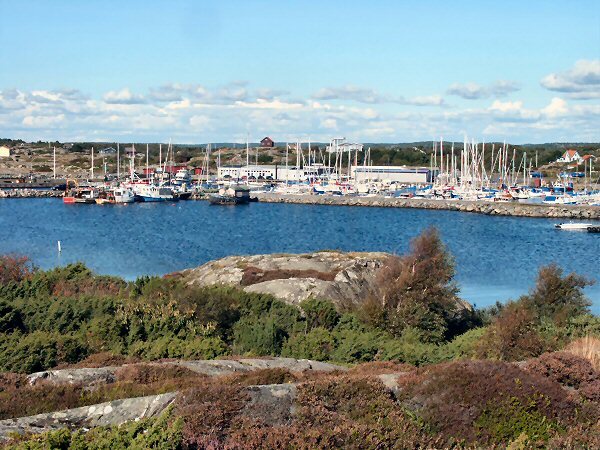 One of the main attractions of sailing in Sweden is staying in one of the many Nature Harbours. These staggeringly attractive rock pools are (mostly) havens of peace and tranquility, and provide a wonderful place to stop and be sheltered from the elements. Once there, you can bathe from the back of the boat, have picnics and barbeques on the rocks or just go exploring using Sweden's famous 'right to roam'. 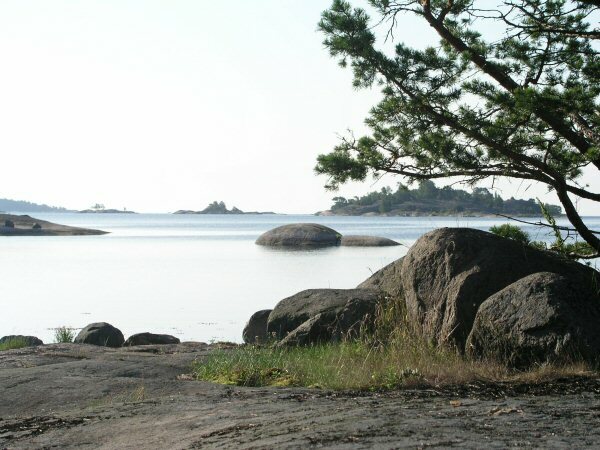 There are thousands of places in the archipelago to tie up to a rock or drop the anchor. The more popular places actually have litter bins and occasionally earth toilets, and some have rings set into the rocks to tie up to. The easiest way to find the more pretty harbours is to look on the Batsportkort charts. The litter bins are overprinted in red, and a collection of these on an apparent 'out of the way' island is a dead giveaway. However to make the most of them you will need a good book or high resolution chart. The most popular books are is the Nautiska Forlaget publications by Lars Granneth, but the Swedish Cruising Club also produce a good set, especially for the West Coast. The Lars Granneth books have highly accurate colour chartlets which are essential for getting into the more obsure harbours. Most harbours have a muddy bottom so holding is excellent, but the Swedes prefer to tie up to a rock or a tree. They nudge up to a suitable rock very, very, slowly, throwing a stern anchor over about 100 yards out. If a suitable tree isnt within tieing-up distance (you'll need some very long ropes), many locals carry metal pins which they can hammer into the rocks to hold the boat. Its a good idea to put some fenders over - some evenings the more popular spots can be as busy as the marinas - but as Swedes respect each others privacy, there is rarely any noise or disturbance. Although barbeques are popular, you are warned not to light a fire directly on the rocks - they can crack! Climbing can also be hazadous, and unlike the UK, there are no safety barriers.